A testing finish to your nine with your drive requiring precision accuracy. Water guards the right and thick trees the left of the fairway. 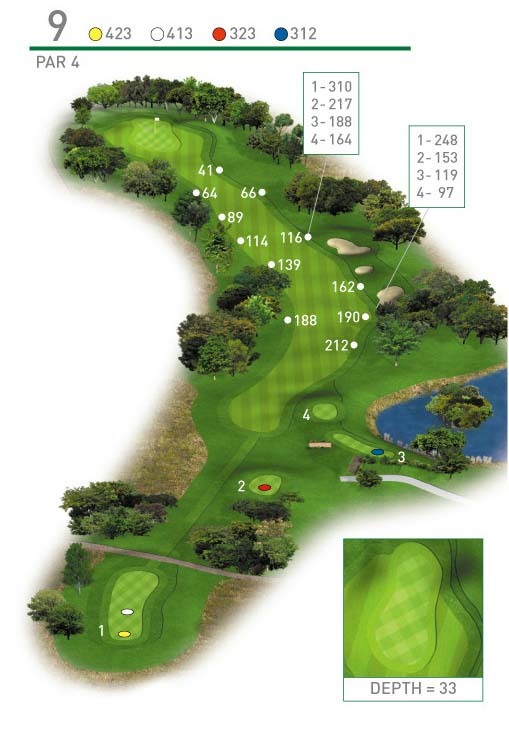 Aim your tee shot at the middle bunker which will leave you with a long to mid iron into the green.